Cold Dude Computers: New Banana Peel Pin! Club Penguin updated last night, they released a new pin which is located in the Coffee Shop! It is by the the front window. 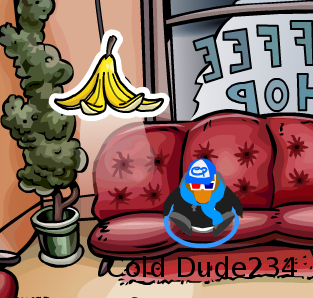 Why do you think Club Penguin released a banana peel instead of an actual banana? Leave a comment and let us know!